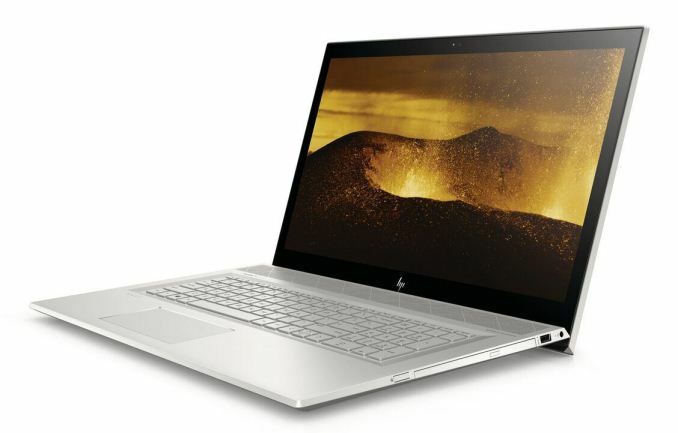 In a flurry of announcements this morning, HP has shared its latest updates in the Envy 13-inch and 17-inch laptops. 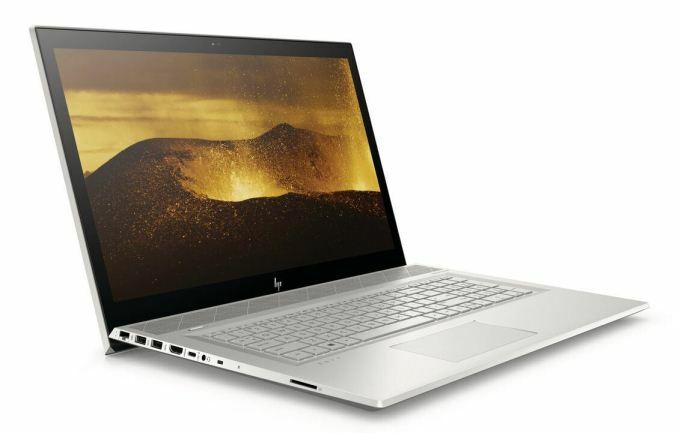 HP has updated its exterior styling, a reduction in bezel size, and is now using the latest Intel 8th Generation Quad Core processors for increased performance. Updates are also made to the HP Command Center software and CoolSense technology, with HP claiming that the new Envy designs should provide users with a solid performing device which can run cool and quiet. The exterior changes exist in the “Damascus” pattern which is characterized by notable patterns of banding looking like flowing water or even wood grain, typically found in sword blades and knives. This new design is located around the hinge area on the back of the laptop. The all-aluminum chassis has a sandblasted finish and is available in Natural Silver on both the Envy 13 and 17, while a new Pale Gold option is available on the 13 only. 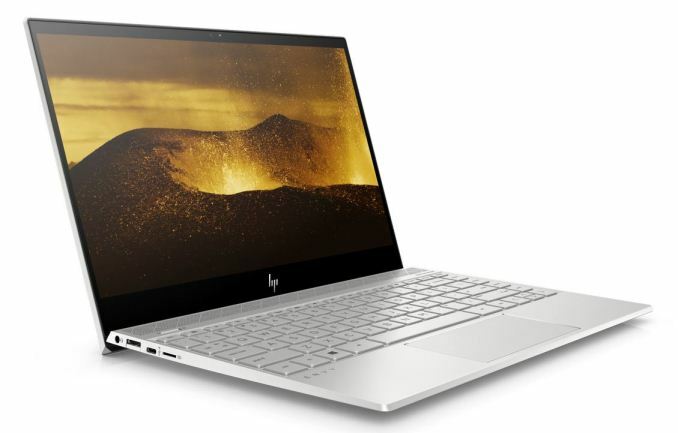 Flipping the laptop open will show off the Geometric perforated speaker grill HP has been implementing along with the Bang and Olufsen speakers hiding underneath. The 13-inch uses a micro-edge bezel and island style backlit keyboard, shrinking the monitor bezel nearly 0.5mm on the sides and over 4mm on the top edge. Also located on the touchscreen monitor panel is a front-facing HP TrueVision HD webcam with integrated dual array digital microphones (both devices). The 17” Envy is able to connect two external 4K displays via HDMI or a USB-C dongle. The USB-C port is able to carry power as well. Both devices support either an FHD IPS WLED-backlit touchscreen with Corning Gorilla Glass NBT touchscreen display or a 4K UHD IPS WLED-backlit touchscreen. On the performance front, HP has updated from 7th Generation CPUs to the latest 8th Generation Intel Core quad-core CPU (4C/8T) running at a base frequency of 1.8 GHz with a maximum Turbo frequency of 4 GHz while fitting in a 15W TDP at base frequency (no word of turbo power consumption, however). The 13-inch model includes 8GB of LPDDR3-1866 SDRAM (not user accessible) and a choice of using the onboard Intel UHD 620 graphics or the optional NVIDIA Geforce MX150 2GB video card. The 17-inch runs the same processor but has 12GB of DDR4-2400 in a 4+8 GB tilted configuration. The larger laptop also comes with the NVIDIA MX150 video card as standard. The storage options for each will vary a bit with the Envy 13 coming with a single 256GB PCIe NVMe based drive, while the Envy 17 supports dual storage solutions including spinner drives and SSDs and Intel Optane as well. Both devices include integrated Wi-Fi supporting 802.11ac (2x2) as well as Bluetooth 4.2 (MU-MIMO supported). Gigabit Wi-Fi is also an optional feature. Security is a primary concern and not forgotten on the Envy lineup. The 13 and 17 both include a fingerprint reader (located on the side of the device towards the back). The Envy 13 also offers a SureView privacy screen option so those sitting next to you (think on an airplane, train, bus, office) are not able to see the screen from an offset angle. 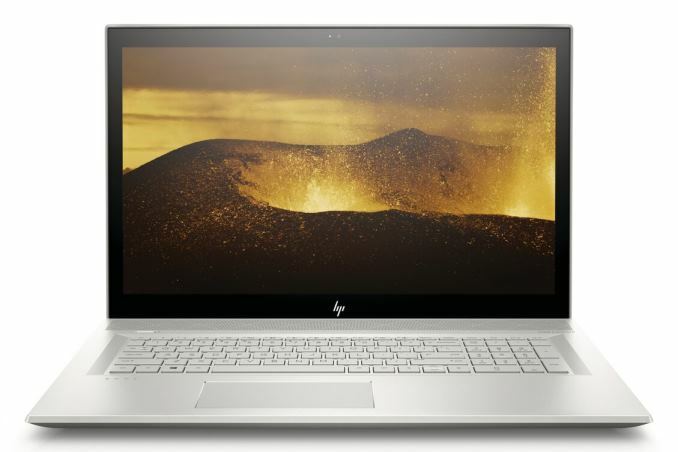 HP Envy 13" and 17"
Pricing for the Envy 13” starts at $999.99 while the Envy 17” is available starting at $1049.99. No kidding. They could drop the drive and fit in what, four more USB 3.0 and Type-C ports? Blame wanting to keep the price down for the base model and fewer config options. That and the 13" model only not having an HDD only version because there wasn't room inside for one. Have they stopped their charger DRM shenanigans ?